Journalist Rachel Johnson, the sister of British Foreign Secretary Boris Johnson, once wrote in The Mail on Sunday newspaper that Markle could help bring "rich and exotic DNA" to the royal family. She also described Markle’s mother as "a dreadlocked African-American lady from the wrong side of the tracks." “Obviously, 70 years ago, Meghan Markle would have been the kind of woman the prince would have had for a mistress, not a wife,” a comment piece read. In 2016, Harry took the highly unusual step of asking the media to stop the “wave of abuse and harassment” against Markle. “We all know what you’re trying to say, spit it out, say it,” she said, citing "the quiet and unique brand of racism that takes place" in the U.K.
Akpan agreed. “Britain is still racist, it’s still very racist," she said. 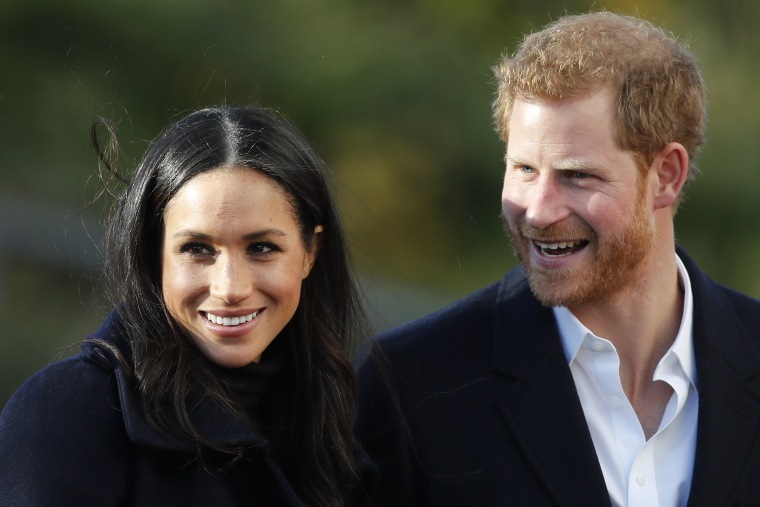 However, British commentator Afua Hirsch suggested that when Harry marries Markle it would “change Britain’s relationship with race” forever. But while Akpan said she recognized the enormity of having a woman of color as a member of the royal family, she didn’t think it would have much bearing on black people living in the U.K.
“When we start unravelling everyday racism then we can talk about race relations moving forward,” she said. “People are ignoring that there is still so much work to be done." Akpan said she felt Markle's “proximity to whiteness” made her more “palatable” to the royal family. “As a dark-skinned woman … I’m still very much aware that if it was a woman who looked like me, would she have even been considered?” she asked. Akpan and Brinkhurst-Cuff both don't hold out much hope that Markle could significantly impact Britain’s race issues. “You’re always setting up yourself for a bit of fall when you put expectations on one person of color, or woman of color, and expect them to be the redemption you’ve be waiting for,” Akpan said.